Ideal for joining/fixing large timbers and sleepers. 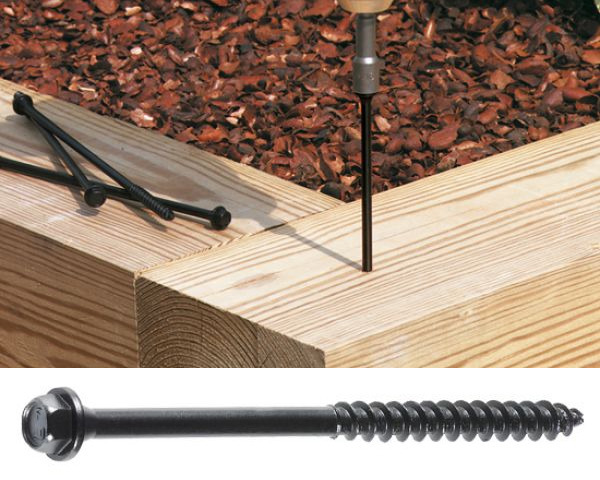 The Timberlok is a black coated steel screw, 5mm diameter, with a countersunk hex drive head. Sizes - Available in lengths ranging between 63mm (2.5 inches to 250mm (10 inches) approx.